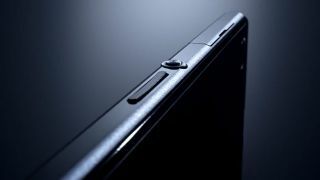 Sony is continuing to add fuel to the fire for its next flagship smartphone, which currently goes by three monikers - the Honami, Xperia i1 and Xperia Z1 - with a new video showing off its slender frame. Posted on the official Sony Xperia YouTube channel we can be sure this clip is legit, and it reveals a slender smartphone with features similar to that of the Xperia Z. Down the right hand side there's the large, centralised power/lock key with the volume rocker switch and dedicated camera key below it. There appears to be an access flap above the power key and we'd expect it to hide the slot for the microSIM. It also looks easier to access that the coverings on the Xperia Z which infuriated us after a while. There's another covered port on the opposite side of the Xperia Z1 and it's clearly labelled "microSD" in the video, so good news for any expandable storage fans out there. News on whether the Honami would keep the water-resistant credentials of its predecessor were thin on the ground, but Sony has cleared up any confusion in the video with the device clearly being dropped into water. Nice. We also get a glimpse of the camera lens on the back of the Xperia i1, with what looks like a single LED flash below and the "G" logo to the its right signalling the phone will sport Sony's G Lens - which is rumoured to be a whopping 20.7MP offering. From what we've seen in the video it would appear images on ETrade Supply claiming to show the metal frame of the Xperia Z1 are pretty much on the money with the various buttons and port coverings all appearing in the correct places. The report also confirms the ports and keys are water tight, but it's worth noting that the headphone port on top appears to be uncovered - a welcome step up from the annoying covered version on the Xperia Z. Thanks to Colby for the tip!